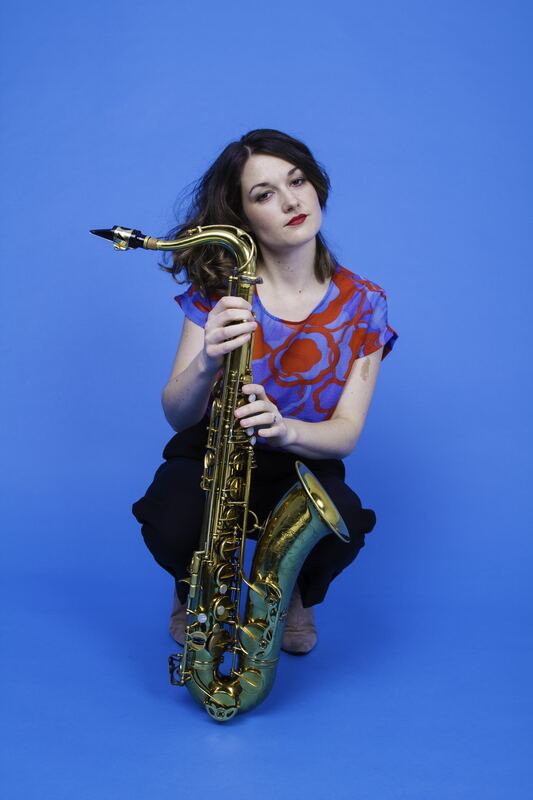 Saxophonist Trish Clowes has been described as “one of the most agile and original jugglers of improv and adventurous composition to have appeared in the UK in recent times” (John Fordham, the Guardian). A BASCA British Composer Award winner and former BBC Radio 3 New Generation Artist, Clowes has received critical acclaim for all four of her releases for Basho Records. Her My Iris quartet – with Chris Montague on guitar, Ross Stanley on piano and Hammond organ and James Maddren on drums – has been hailed as “the jazz of the future” (Augsburger Allgemaine). The band have toured and performed in the UK, Ireland and Germany, including appearances at the Barbican (EFG London Jazz Festival), the National Opera House (Wexford), Gateshead International Jazz Festival, Turner Sims, Women in (e)motion Festival and the Stadthaus Ulm. They have also recorded broadcasts for BBC Radio 3 and Radio Bremen. Their 2017 album, also called ‘My Iris’, received plaudits and acclaim from jazz critics. Dave Gelly of The Observer wrote that ‘with just four players, the variety of tone colour is remarkable’ and Cormac Larkin in The Irish Times suggested that “(My Iris) represents the front rank of the new generation of UK jazz.” My Iris will release a brand new album ‘Ninety Degrees Gravity’ in April 2019. Born on May 11th 1984, Clowes was raised in Shrewsbury, Shropshire and moved to London in 2003 to study at the Royal Academy of Music, notably with saxophonist Iain Ballamy and composer Pete Churchill. Clowes was later honoured as an Associate of the Royal Academy of Music (2013). She formed her first group ‘Tangent’ following a development award from the Musicians Benevolent Fund (now Help Musicians UK) in 2008. Clowes’ first album ‘Tangent’ in 2010 featured this band, special guest pianist Gwilym Simcock and an orchestra conducted by Jules Buckley and was noted for its “promise – and ambitious vision” (Guardian). 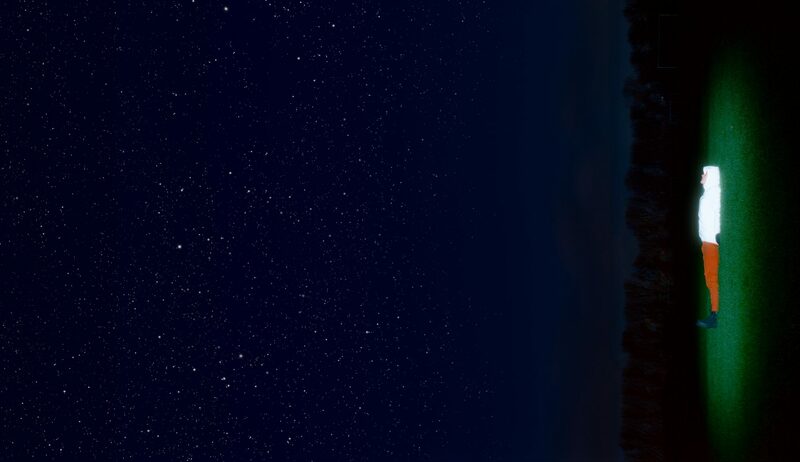 Her second album ‘and in the night-time she is there’ (2012) featured an improvising string quartet led by Thomas Gould and Clowes recorded her “highly individual” (Schweiz am Sonntag) third album ‘Pocket Compass’ (2014) while a BBC Radio 3 New Generation Artist, working with the BBC Concert Orchestra on three tracks. Clowes has been commissioned by BBC Radio 3 on two occasions to write for the BBC Concert Orchestra. The first commission, ‘The Fox, the Parakeet and the Chestnut’, was premiered at the Queen Elizabeth Hall in 2014, featuring a quintet with Gwilym Simcock, Mike Walker, Calum Gourlay and James Maddren. The piece went on to win Clowes a BASCA British Composer Award in 2015. Clowes premiered her most recent commission, entitled ‘Loujean and Lucy’, at the Royal Festival Hall in November 2017 as part of the EFG London Jazz Festival – this time featuring just two soloists, Clowes and pianist Ross Stanley. The piece celebrates the story of two women brought together through the Homes for Syrians initiative. During the same concert Clowes and Stanley made use of the hall’s famous organ, performing a duo version of Clowes’ ‘A cat called Behemoth’ (inspired by a character in Bulgakov’s The Master and Margarita). 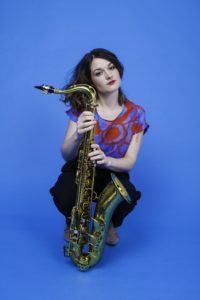 Alongside her work as a performer and composer Clowes has been curating her own new music project Emulsion since 2012, which she now organises with saxophonist Tom Harrison. Emulsion has hosted various events and festivals in London, Birmingham, Shrewsbury and at Cheltenham Music Festival, receiving coverage on BBC Radio 3 along the way, and to date has commissioned seventeen new works. Featured collaborators include ECM artists Food (Iain Ballamy and Thomas Strønen), pianist-composers Nikki Iles and Robert Mitchell and composers Joe Cutler and Cevanne Horrocks-Hopayian. 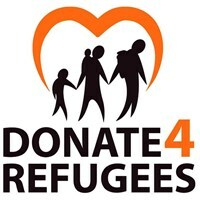 Over the years the project has received funding from PRS for Music Foundation, Arts Council England, Musikfondene (Norway), Jerwood Charitable Foundation, Birmingham City University and its own Kickstarter backers. After an inspirational experience at the Banff International Jazz Workshop (2015, curated by Vijay Iyer), Clowes decided to research Emulsion’s potential as an immersive performance space and is currently a PhD candidate at the Royal Birmingham Conservatoire with a STEAM Scholarship. Her supervisory team includes Dr Nicholas Gebhardt, Dr Joe Cutler, Dr Tony Whyton, Dr Vijay Iyer and Fiona Talkington. Please email Basho Music for more information.